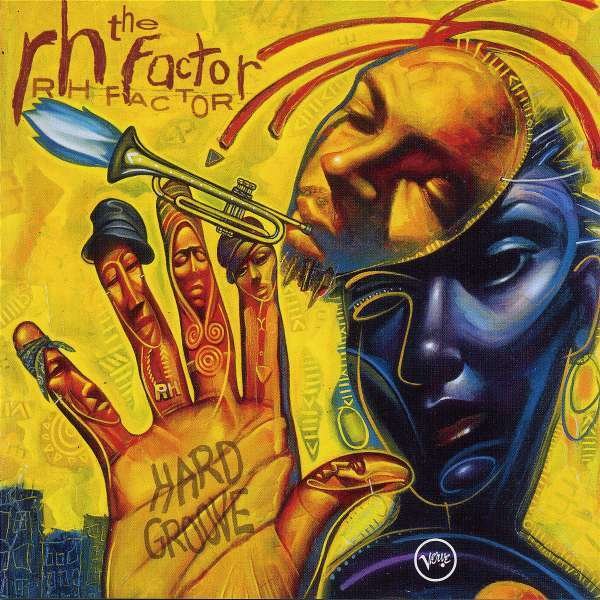 Der Artikel Roy Hargrove (1969-2018): The RH Factor Presents Hard Groove wurde in den Warenkorb gelegt. + Keith Anderson, James Poyser, Cornell Dupree, Willie Jones III u.v.a. Roy Hargrove is a GRAMMY-award winning recording artist whose first disc as a jazz leader was released in 1990. Considered by many to be one of the premiere trumpet players on the music scene today, has long had a fascination for, and love of, R&B, Funk, and classic Soul music. Hard Groove is the realization of a musical dream come true. The RH Factor is the identity that composer / arranger Hargrove has coined for the musical collective he's assembled for Hard Groove. Like a 21st Century Quincy Jones, the trumpeter has brought together a diverse array of musicians from his recent collaborative efforts to create an organic musical street party at the corner of hip-hop and bop, encompassing many of his musical passions-the slow-grinding soul of Funkadelic's "I'll Stay" with a sultry vocal by D'Angelo; Common's free-styled rap intro on the aptly titled "Common Free Style"; both Q-Tip and Erykah Badu bringing their distinctive hip-hop and R&B sounds to the party-like funk of "Poetry". On the vocal side, Hard Groove also contains stellar performances by D'Angelo background vocalists Anthony Hamilton ("Kwah" / "Home") and Shelby Johnson ("How I Know"); a fine turn by Stephanie McKay ("Forget Regret"); and former Motown recording artist Renee Neufville ("Juicy"). Hard Groove speaks of yesterday, sounds like today, and looks like the future! Roy himself says it best in his liner notes: This recording is something I've wanted to do for quite some time. The music is a representation of what can happen when people looking in the same direction get together, with dedication, focus, and positive spiritual energy. C. Thomas in Stereo 6 / 03: "Sein 14. Album ist die Summe seiner gesammelten Erfahrungen - ein Meisterwerk. Ein Funk-, Soul- und Jazz-Freudenfest." Hörprobe Track 5: Pastor "T"